Armed with a newspaper and a magic marker, Austin Kleon makes the process of writing poetry more about chiseling away instead of starting from scratch. I am a huge fan of found poetry and have my students create found and headline poems every April during National Poetry Month. What I always find when students perform these exercises is that at first they think the assignment is just for fun, but then end up creating something really profound. The idea is the same in Newspaper Blackout. An otherwise mundane newspaper article is now suddenly something really profound. My only criticism of this book is that sometimes the poems were a little hard to follow and the flow of the poem was stifled because your brain was too busy trying to translate the order of everything. Nothing much happens in the sleepy town of Venus Cove. But everything changes when three angels are sent from heaven to protect the town against the gathering forces of darkness: Gabriel, the warrior; Ivy, the healer; and Bethany, a teenage girl who is the least experienced of the trio. They work hard to conceal their true identity and, most of all, their wings. But the mission is threatened when the youngest angel, Bethany, is sent to high school and falls in love with the handsome school captain, Xavier Woods. Will she defy the laws of Heaven by loving him? Things come to a head when the angels realize they are not the only supernatural power in Venus Cove. There′s a new kid in town and he′s charming, seductive and deadly. Worst of all, he′s after Beth. OK, I'm going to start with a backhanded compliment. Given that Alexandra Adornetto is only 18 years old, she is rather gifted with words. But she hasn't yet learned to harness that gift. She's still a bit unwieldy with them, carelessly throwing them around all slap-dash. 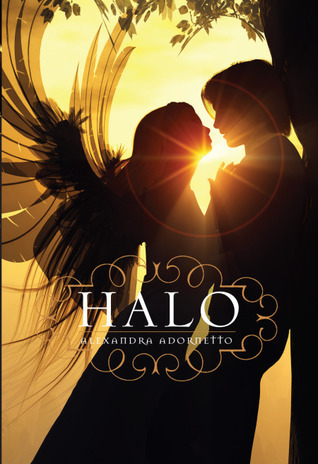 This story felt like a rip-off of Twilight but with angels instead of vampires. There was absolutely nothing substantive to the relationship between Bethany and Xavier other than having to read over and over ag ...more OK, I'm going to start with a backhanded compliment. Given that Alexandra Adornetto is only 18 years old, she is rather gifted with words. But she hasn't yet learned to harness that gift. She's still a bit unwieldy with them, carelessly throwing them around all slap-dash. This story felt like a rip-off of Twilight but with angels instead of vampires. There was absolutely nothing substantive to the relationship between Bethany and Xavier other than having to read over and over again for 480 pages how beautiful they were. I woke in the middle of the night, frightened by a dream I couldn't remember. Xavier lay beside me. He looked so beautiful when he was asleep, his perfect lips slightly parted, his hair tousled on the pillow, his smooth, tanned chest rising and falling gently as he breathed. Really? Really? You're going to go there? At the height of tension and anxiety in the story, you're going to talk about his perfectly tanned chest? Another huge criticism I have is that if you're going to write a fantasy novel, then you need to find a way to make readers believe in the world you've created. That is the challenge of writing fantasy. It's easy to make up another world. What's hard is taking other people there with you. When I read Harry Potter, for those moments I am reading the book, I believe there is a place called Hogwarts and that Voldemort is trying to kill Harry. JK Rowling transports us into that world. But Adornetto never allowed me to leave this world and enter hers. The entire time I was reading this book I wasn't buying it. The idea of an angel falling in love with a human is an intriguing premise for a plot, and perhaps in the hands of a more mature author it would have worked, but this book felt completely superficial and unbelievable. I will not be continuing with the series when the next book comes out. 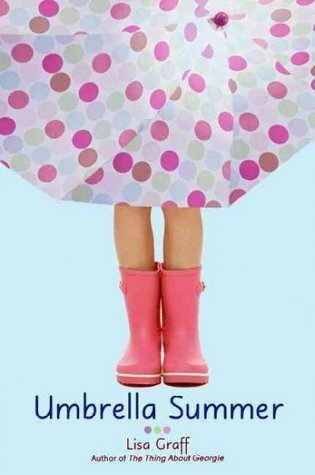 Maybe sappy girls of 14 or 15 will fall for the "romance" in this book, but I certainly didn't. I am just a tad bit biased when it comes to reviewing this book because I am a devoted pug owner. 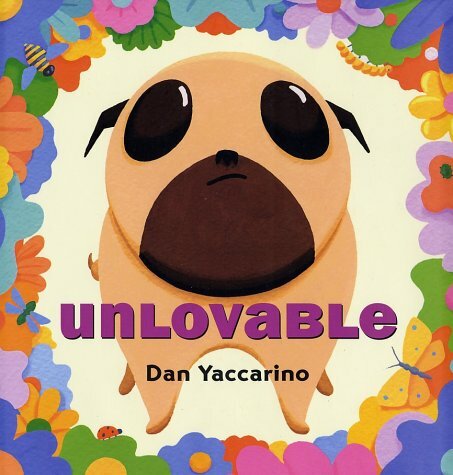 So when I came across this book about a pug that is told by the family cat that he is unlovable, I couldn't help but want to shout, "BUT I LOVE YOU!!!!!" My heart broke for Alfred the pug at the beginning of the story as he banished himself to the backyard so as not to have to hear the cat, the parrot, and even the goldfish declare how unlovable he is. This is a great ...moreI am just a tad bit biased when it comes to reviewing this book because I am a devoted pug owner. So when I came across this book about a pug that is told by the family cat that he is unlovable, I couldn't help but feel the need to shout, "BUT I LOVE YOU!!!!!" This is a great book to use with kids to teach lessons about not excluding others and embracing each other's differences. The illustrations are simple but have great impact and emotion, and despite Alfred's empty eyes, they bore into your soul and make you feel extreme empathy for him. I would like to personally thank Kristi, The Story Siren, for doing a feature on her blog called "Dear Story Siren: Publisher Edition" where she contacts a person from a publisher's media department and asks them questions about reviewing their published books. Part of Kristi's questioning revolves around asking for ARCs. Before reading this feature on Kristi's blog, I never thought to personally request an ARC from a publisher. I always assumed that publishers and authors contacted you. What was I thinking? Rookie mistake! 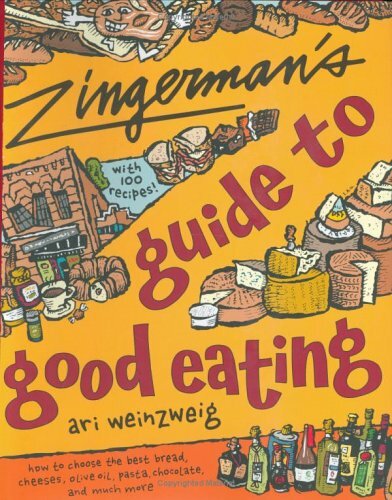 Zingerman's in Ann Arbor, Michigan is a high-end galleria of food indulgences. They specialize in only the very best products and ingredients. This book is organized well and includes tantalizing recipes at the end of each chapter. It might appear pretentious to proclaim the merits of purchasing only the very best of every type of food product, but Weinzwig insists that he is not looking for food to be fancy - he just wants it to taste good! That is his thesis for this book and the philosophy behind Zingerman's legacy. Educational and mouth-watering, this book would be a wonderful addition to any aspiring cook wishing to choose better ingredients for themselves and their family. I read a journal entry to my class in English today that was inspired by another student's journal entry. 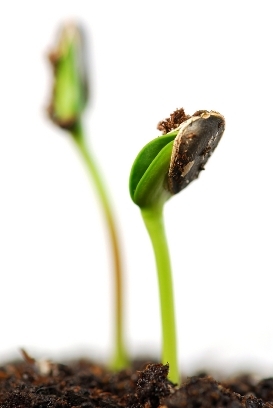 When I told the class about being inspired by someone else's writing, one of my students said, "The seed just keeps growing." I love it when they apply the metaphors I teach them about writing. Makes me glad to know I don't sound like Charlie Brown's teacher everyday - only just some days. When last we left Liz Gilbert, she was basking in the glow of her new relationship with the suave, older Brazilian man she met in Bali. While they each made a long-term commitment to the other, neither one was willing to walk down the aisle again. But then fate intervened: frequently traveling into the United States for three month spurts, one day, Gilbert's beau was detained at the Dallas-Fort Worth airport by Homeland Security declaring that the only way he would be allowed back in the country was if he married his American girlfriend. Thus began the perilous journey back into matrimony for Liz and Filipe. In order for her to resign herself to this idea, she began a lengthy research into the history of marriage. What endears readers to Gilbert's prose is that she can take such a dry topic like the history of marriage and make it interesting and accessible. I have come to the conclusion that Elizabeth Gilbert could write about the history of the phone book and I would be fascinated with what she had to say. She just has a way of explaining something in such an organized, logical, easy-to-read package, yet she still packs a punch with her personality and unique voice. It amazes me that Gilbert could be so neurotic that in order to re-marry, she had to do extensive research on the topic of marriage. Luckily her neuroses results in ver ...more I have come to the conclusion that Elizabeth Gilbert could write about the history of the phone book and I would be fascinated with what she had to say. She just has a way of explaining something in such an organized, logical, easy-to-read package, yet she still packs a punch with her personality and unique voice. It amazes me that Gilbert could be so neurotic that in order to re-marry, she had to do extensive research on the topic of marriage. Luckily her neuroses results in very successful books. Keep up the crazy Miss Gilbert because I'll keep reading your books. Not only was I thoroughly entertained while reading, but I was also impressed with how much I learned about the institution of marriage. You too will be shocked by the things you thought you knew about marriage that will be completely obliterated by reading this book. For example, did you know that early Christians looked down on marriage? It only begrudgingly became a sacrament as a way to try to control the institution rather than trying to prevent people from doing it since that wasn't working. Hmmmm... going to let you draw your own conclusions on that one. This book is clearly not as engaging as Eat, Pray, Love but it was certainly worth the read. I highly recommend it for anyone considering marriage. Nancie Atwell, one of my pedagogical heroes, talks about getting in "the zone" while reading books. Being so involved with the story on the pages in front of you that the classroom surroundings just fade away and you become part of the story. I frequently see this with my new class of students. I often find the bell ringing and having to shoo the kids out of my room because they just won't put their books down. I guess there are worse problems to have as a teacher. Nowhere was this reading zone made more clear to me than the other day when I came across one of my 5th grade students (I teach mainly 6th grade, but I have one class of 5th grade reading) sitting at the round table with my stuffed frog on his head. He was not doing this to be funny or draw attention to himself. In fact, he was sitting this way for quite a while before I even noticed. That's what I call being in the reading zone: being so engaged in a book that you don't even notice that you've got a frog on your head. I wasn't going to review this book because, while I enjoyed it, I wasn't blown away by it. But then something happened. I put the book on my bookshelf after I finished reading it and kids were clamoring for it. Everyday I would have a different student ask for it. This got me to thinking. Books don't always have to be well-written. They don't even have to have a good story. Sometimes they just have to have some sort of unifier - something that will get kids talking and that attracts them toward the book. So even though I give the actual story three stars, I'm going to give the idea 5 stars because middle grade kids are eating this book up. ... about my audiobook giveaway of Backseat Saints by Joshilyn Jackson. Giveaway ends at 10PM EST on October 10th. Open to US residents only. I received this book as an ARC from the publisher. I have not read Alyson Noel's Immortals series so this is my first experience with her books. In Radiance, Riley Bloom, along with her parents and her dog Buttercup, cross over the shining bridge into the Here & Now after a car accident. As Riley begins to settle into her Afterlife, she soon discovers that being dead does not mean she'll get to sit around on a cloud watching the mortals below. Riley is given a job as a ...moreI received this book as an ARC from the publisher. I have not read Alyson Noel's Immortals series so this is my first experience with her books. Riley is given a job as a soul catcher, along with a teacher - a teenage boy named Bodhi - whose job it is to guide her in learning her new job. 1) Riley's voice is a tad inconsistent. One minute she's talking like a typical twelve-year-old, using words like ginormous and bejeezums, the next minute she's using words like "glean" and "extenuating circumstances." Noel does briefly address this inconsistency, however, on p. 76 when Riley says, "As someone who likes to mix up my vocabulary a bit, I decided I'd like him for that," but it almost felt like it was added in there as an editor suggestion. Like she said, "OK, Riley talks like a twelve year old girl most of the time, but then you've got her saying these things here and it just doesn't seem like her voice." 2) I thought there were way too many current pop culture references in this story to make this a book worth reading ten years from now. If I were an author (and some day I hope to be) the one thing I would make sure I do is avoid dating my book. But when you mention things like Kelly Clarkson, Joe Jonas, Wii, Punk'd, and Zac Efron, you are giving your book a shelf life, a "sell by" date if you will. 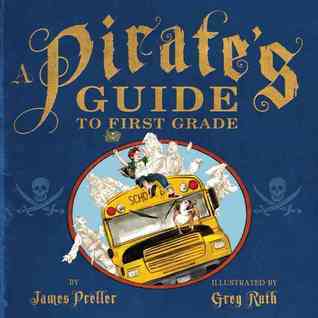 The thing is, middle grade readers are really fickle, and 15-20 years from now, kids are going to pick up this book and say, "Who? What? Huh?" and then put the book down due to its inability to reach a new generation of readers. I mean, just imagine if a group of kids today picked up a book that mentioned Pearl Jam, Color Me Badd, and Sega - how many of them would a) know what or who the heck the author was talking about and b) want to keep reading. I'm not saying an author can't make an allusion here and there to pop culture, but I would not suggest making the book rife with it. Other than those two criticisms, however, it was an enjoyable read and I'm looking forward to catching the next installment. Cover Comments: I think this cover is stunning. The colors and dream-like quality of the foggy bridge in the background and a glowing Riley and Buttercup in the foreground would make anyone want to pick this book up and read it. Rose Mae Lolley is a fierce and dirty girl, long-suppressed under flowery skirts and bow-trimmed ballet flats. As "Mrs. Ro Grandee" she's trapped in a marriage that's thick with love and sick with abuse. Her true self has been bound in the chains of marital bliss in rural Texas, letting "Ro" make eggs, iron shirts, and take her punches. She seems doomed to spend the rest of her life battered outside by her husband and inside by her former self, until fate throws her in the path of an airport gypsy---one who shares her past and knows her future. The tarot cards foretell that Rose's beautiful, abusive husband is going to kill her. Unless she kills him first. Hot-blooded Rose Mae escapes from under Ro's perky compliance and emerges with a gun and a plan to beat the hand she's been dealt. Following messages that her long-missing mother has left hidden for her in graffiti and behind paintings, Rose and her dog Gretel set out from Amarillo, TX back to her hometown of Fruiton, AL, and then on to California, unearthing a host of family secrets as she goes. Running for her life, she realizes that she must face her past in order to overcome her fate---death by marriage---and become a girl who is strong enough to save herself from the one who loves her best. - synopsis taken from Goodreads. Backseat Saints is beautifully written despite a painful subject matter. Had I not been so transfixed by Jackson's masterful turn of phrase and hypnotizing audio narration (by the author herself), I probably would have some more critical things to say, but since this was one of those audiobooks that is so well narrated, all I can do is sing its praises. Jackson has such a sweet, lilting southern drawl that you can't help but be won over by her storytelling. There is no point in this story where you feel the outcome will be predictable. You are constantly left guessing as to how Jackson will end it and the climax will leave you on the edge of you seat. If you often find yourself turned off by boring, sleep-inducing audiobooks, look no further than Backseat Saints to jolt you from your slumber. Back in June I participated in Audiobook Week over at Devourer of Books. Jen was able to provide a great deal of audiobook giveaways through the generosity of publishers. Backseat Saints was a title I won through that week of participation and I'd like to pass it on to someone else to enjoy. Fill out the form below before 10 PM EST on October 10, 2010 and I will send one lucky winner my 11-CD audiobook copy of Backseat Saints.